Emergency crews are in scene of a hazardous condition. Power lines are arcing at a transformer site. Southern Cal Edison has been dispatched. 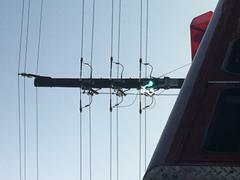 Power in the area may be affected before repair crews arrive.